Williams publication # 16P-487-100 for electronic solid-state (SS) Williams pinball games. 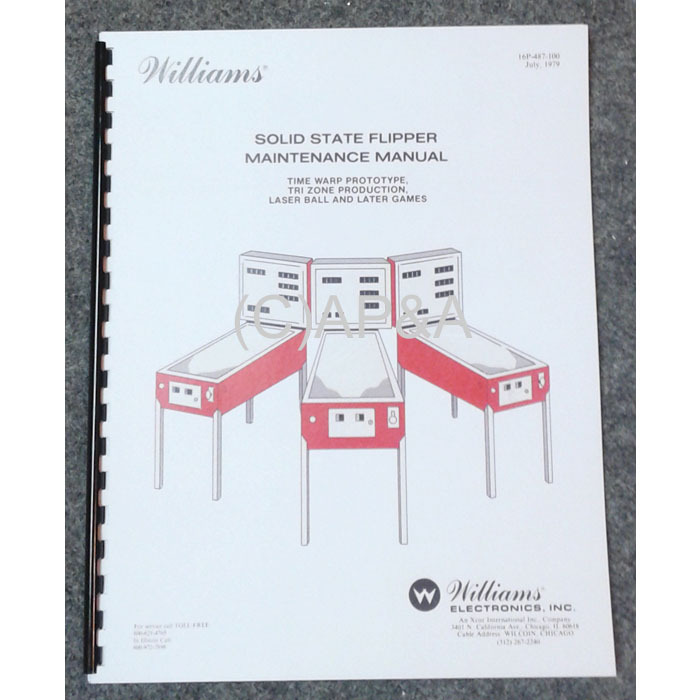 "Shop" repair manual covering most circuit boards and diagnostic procedures for 1977-1984 electronic pinball and shuffle bowler games made by Williams. This manual covers Time Warp, Laser Ball, and all earlier (previous) games back to Hot Tip in 1977, but can be used for most procedures in newer games up until 1984 also.